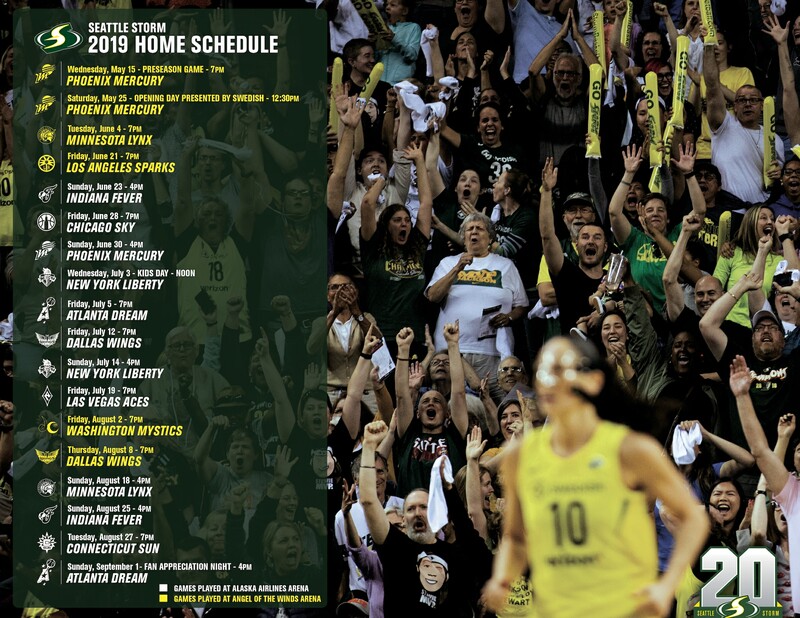 SEATTLE – A host of famous and iconic Seattle buildings will be turning their lights orange, the color of the WNBA, Friday night in recognition of Verizon WNBA All-Star 2017, set to tipoff at 12:30 p.m. PT on Saturday, July 22 at KeyArena. The contest will be the first ever WNBA All-Star Game held in Seattle. Tickets for Verizon WNBA All-Star 2017 start at just $15 and can be purchased at StormBasketball.com, or by dialing 206-217-WNBA (9622). The following lighting activations will begin the night of Friday, July 21. • The Great Wheel, one of the waterfront’s most iconic landmarks, will be shining orange with a brilliant light display beginning Friday night, July 21. • CenturyLink Field, the famous home of the Sounders and Seahawks, will light its arches orange beginning Friday night. • MOHAI, the Museum of History and Industry located in beautiful South Lake Union, will be glowing orange in recognition of the game. • The W Hotel, located in downtown Seattle, plans to be illuminated orange ahead of Saturday’s WNBA All-Star Game. • Columbia Center, the tallest building in Seattle, which stands at 937 feet, will be recognizing Verizon WNBA All-Star 2017 with orange lights along its top. • The Westin Hotel, located on Fifth Avenue, will be representing the Verizon WNBA All-Star 2017 with orange lights. • Two Union Square, a skyscraper located in downtown Seattle, will also be illuminated with orange lights ahead of Saturday’s game. • The Allen Institute, a Seattle-based non-profit bioscience research organization, will display orange lights on their exterior ahead of Verizon WNBA All-Star 2017.